This is oddly late. Possibly too late, but life has been busy with work, the High Holy Days, and a random trip to Cuba. Despite happening two weeks ago, I still want to give my reflections on Old Rag. Many of the hiking resources on the Internet are written by people who really know the ins and outs of hanging out in the outdoors. Obviously, that’s great and important, but doesn’t really do a lot to manage expectations for average people who really want to hike, but don’t know what they’re doing. It’s not like you have to prove your experience level to get on the trail, so really the only reason why we waited so long to do Old Rag is that I’m super paranoid and overly cautious. 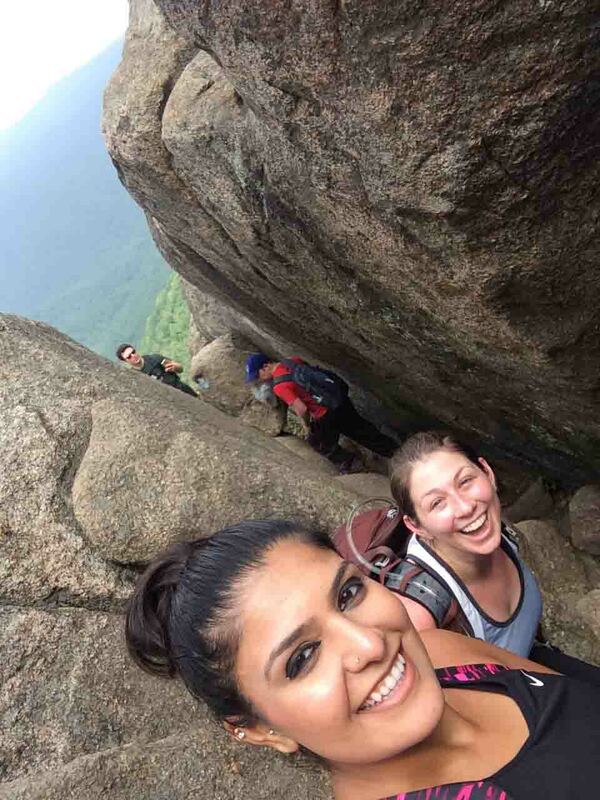 At the beginning of the summer, when Sireen and I decided that hiking was going to be “A Thing,” Old Rag was one of the first hikes that we discussed. If I was more fun, we probably would have tackled it immediately, but I made us wait until we got some hiking skills under our belts. In the interim, there’s been a lot of drama—getting lost, unexpected rain storms, snakes, a run-in with a wasp, a staph infection—but with summer coming to a close, we felt ready to take on the mountain. Sometimes I forget that most people are inherently good. It’s easy to forget in the city where it’s easier to slide into the every-man-for-himself mentality. And here’s the truth: I may recognize my neighbors, but I don’t wave to them; I sit next to the same people on the bus every day, but I don’t talk to them; and I see the same surprisingly well put together homeless woman on the corner every time I walk up to Columbia Heights, but I don’t know her and I don’t help her. It’s cold here in the big city, and if I think too much about it, I start to miss the easy warmth of the people in my hometown in North Florida. On the trail, for some reason, it’s different. We tend to hike close enough to D.C. that unless someone has an accent, I usually assume they’re also day tripping from the city or its suburbs, but out in nature all of that city coldness seems to go away. Sireen and I conquering Old Rag. It’s like we all form an unspoken temporary pact when we’re out on the trail. Each and every one of us woke up in the morning and went, “I’m going to climb a mountain today,” or “I’m going to go on a disturbingly long walk somewhere.” We don’t know each other, but when I see these strangers out on the trail (unless they’re extremely annoying), I want them to succeed. I want them to feel as awesome as I feel. I want to be able to help if they’re struggling. I want to open my first aid kit and pass out my emergency meds. If only for a few hours, I want to be their trail friend. Enter your email address to follow this City to Trail and receive notifications of new posts by email.